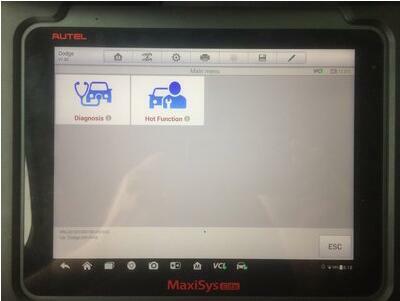 I recently got the new 17.2 software upgrade for my Snap-On scanner, also the shop I work for got the newest Autel Maxisys Elite scanner. I had a chance to play around with them this weekend on my truck. 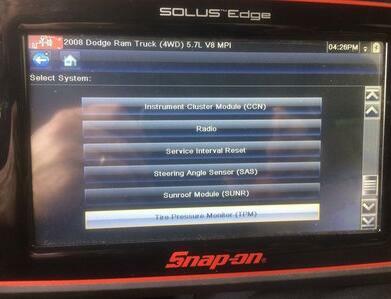 All of this info applies to my 2008 3rd gen. 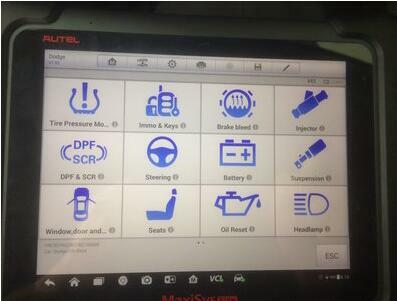 The newest Autel MaxiSys Elite. Choose “Hot Function”. 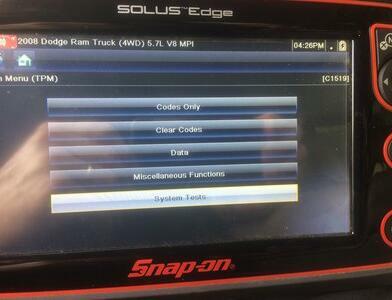 The 3rd Gen has a heavy & light load TPMS settings and the Autel accommodates both settings where the Snap-On only gives you one setting. 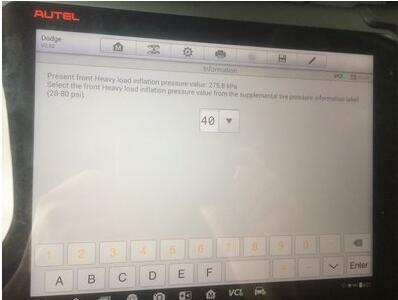 I set my heavy load limit to 40 PSI which should trigger the warning light at 34 PSI. 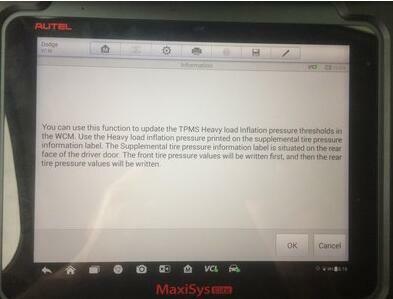 Note that the adjustment limit is 28-80 PSI. 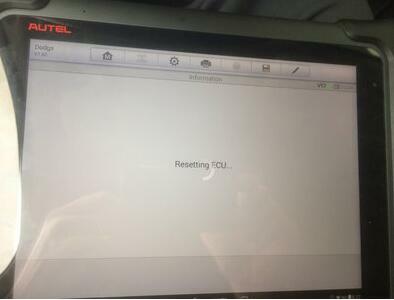 After I reset the heavy load setting, I did the same for the light load setting and this was the final result. 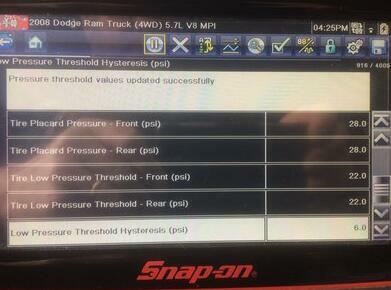 NOTE: 28 PSI is the lowest possible setting available for my truck, with a 22 PSI warning light trigger threshold. 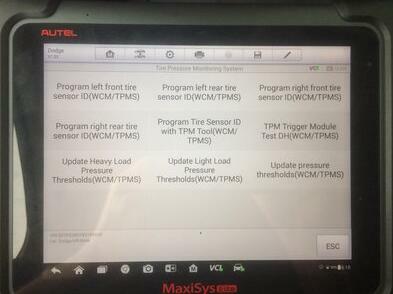 From the list of modules you can interface with choose the “TPM”. Then choose the “System Tests” option. 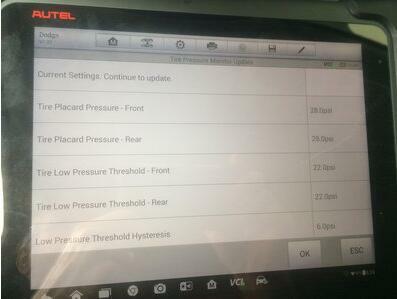 Showing minimum setting at 28 PSI and the 6 PSI threshold to trigger the warning light at 22 PSI. Right now my tires are set to 35 PSI and I have no warning lights on. The only side effect so far is that when I push the “Light Load” button on my dashboard, the indicator light flashes and then turns off. Something is not happy with the changes I made. 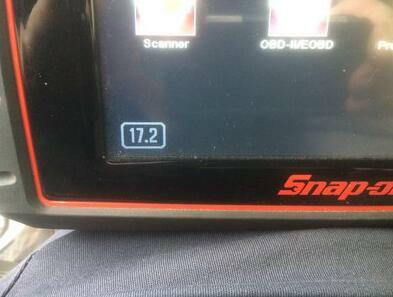 I’ll have to play around with it some more to see if I can get the indicator light to cooperate. All of this was accomplish without needing a dealer supplied 4 digit code. I assume thats just something required for the 4th gen trucks.